Words are powerful. They have the ability to inspire, discourage, dissuade and convince. Especially in advertising. The truth of the matter is that every word you use in an advertisement is important. The choice between two words could mean the difference between success and failure for your ads. We’ve spent more than 20 years creating advertising campaigns that have resulted in the sale of over 2 million vehicles. We pride ourselves on creating record-shattering automotive promotions for dealerships across the country. And over the years, we’ve found that certain words act like triggers, forcefully pulling customers to your store. And now we’re sharing these power words with you. There’s a secret psychological trigger that affects almost everybody: people have what we call a “Something for Nothing” aspiration. That is, most people are programmed to desperately want to get something for nothing. 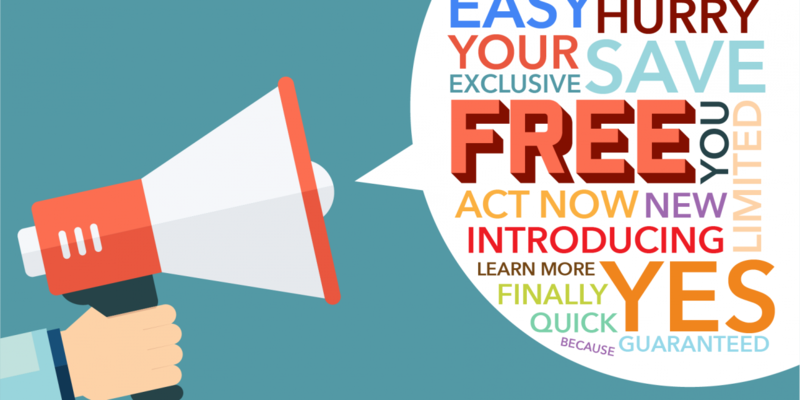 Words like “free” tap into this aspiration and trigger your targets curiosity. The “something for nothing” aspiration works because people generally operate out of a sense of self-interest. They like to hear about themselves. They also like to hear about ways that you and your dealership will benefit them. So stop talking about yourself and start talking about what you can give them. Experience shows that when you create a deadline (urgency), when you give people a timeframe in which they have to respond, response dramatically increases. Most car dealers don’t understand this fact and miss putting deadlines into their marketing. Big mistake. People are terrified of missing an opportunity. Fear of loss is always a strong motivator. The same concept is at work with scarcity as with urgency. People are worried you’ll run out before they get there, so they rush to get their fair share. Moreover, when you announce a new product, service or offer, people are scared of missing out on this new thing. Think about how there’s always a line for the new iPhone. This is one of the reasons why. People are more likely to respond and take action when you give them a reason why. When you give people a reasonable explanation why you’re making an offer, you are more believable and they are more than happy to rush to receive what you’re offering. The result? You’ll get greater response and sell more cars, making words like because an essential part of your advertising. Additionally, guarantees remove anxiety and increase trust. It improves the doubt and overcomes objections. In any transaction, there is a wall that exists between the buyer and the seller. It’s The Mighty Wall Of Mistrust. And this wall is made up of everything the prospect thinks, feels and does. It is made up of prejudices, stereotypes, assumptions, bad and good information, research, hearsay, feelings, gut reactions and on and on. It’s made up of fear, anxiety and doubt. All of this stuff builds a wall, but by using certain words and providing certain information, you can start to break down this wall. These words will start you on the path to creating real, results-generating ads. But a great ad is more than just the words you choose, there are many other factors that go into creating a successful campaign. For more tips on building advertising campaigns that boost traffic, leads and sales for your dealership, download our FREE guide Cracking The Creative Code.